SAM 3G — the Student Auscultation Manikin, 3rd Generation — is the ultimate auscultation trainer for any academic level. Designed with both student and instructor in mind, SAM 3G offers one of the largest libraries of physiological sounds and the most intuitive tools for teaching auscultation. SAM 3G is everything you need to teach and train auscultation. Providing the clearest, most accurate sounds in the industry, SAM 3G contains over 100 normal and abnormal cardiac, respiratory, bowel, and bruit sounds. 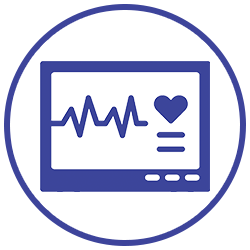 SAM 3G also includes access to our Real Sounds Library — a collection of 24 real heart and lung sounds recorded from live patients. And with built-in speakers, students can auscultate using their own stethoscope — without the noise disturbance from interior mechanics. From its conception, SAM 3G was designed to be remarkably simple to operate. Out of the box, SAM can be plugged in and easily programmed to the desired sounds. We have eliminated the frustration of incorporating educational tools in the classroom. And it’s not only instructors who benefit from SAM’s simplicity of use — students are also able to practice auscultation with SAM independently. Weighing under 20 pounds, SAM 3G is highly portable. 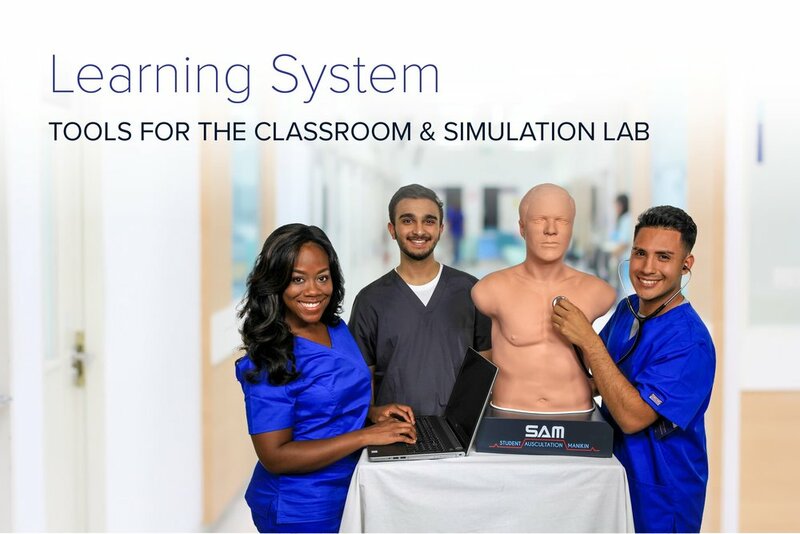 Instructors are able to incorporate SAM 3G in the simulation center, classroom, or auditorium — depending on the format of the training. SAM is constantly on the go, which is a crucial feature for ensuring students spend adequate time practicing their auscultation skills. Custom lectures can be built directly in the SAM 3G software — Play relevant sounds aloud for the class while demonstrating proper stethoscope placement; Let a library of over 60 lesson guides serve as a template on which to build a lecture; Or play videos of simulated case studies for students to grasp genuine healthcare professional-to-patient interaction. With SAM 3G, we’ve made major software upgrades to engage students in auscultation education more than ever. Now, SAM 3G comes with 24 case videos, 12 echocardiogram videos, and EKG waveforms of every sound. Combined with lesson guides and phonocardiograms for each sound or condition, students will have access to everything they need to master their auscultation skills.